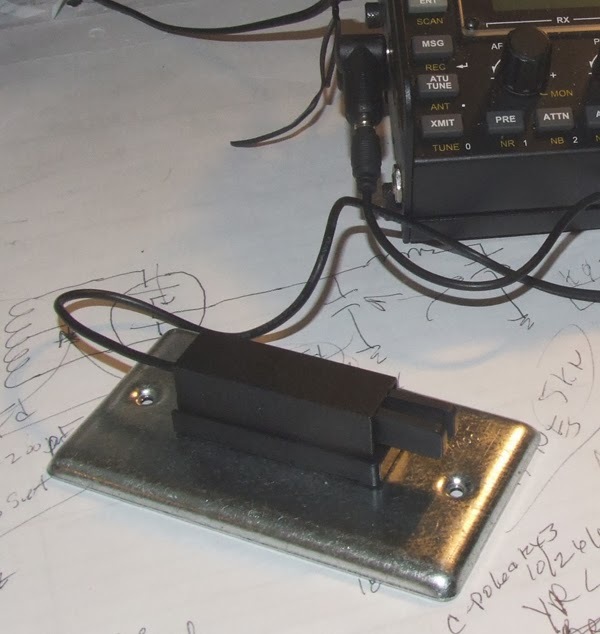 The VE7SL Radio Handbook - Steve has posted details many of his projects here. 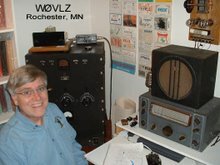 Take the time, also, to go to his 1929 TNT transmitter page and then scroll down to see his photo gallery of homebrew '29 style rig. 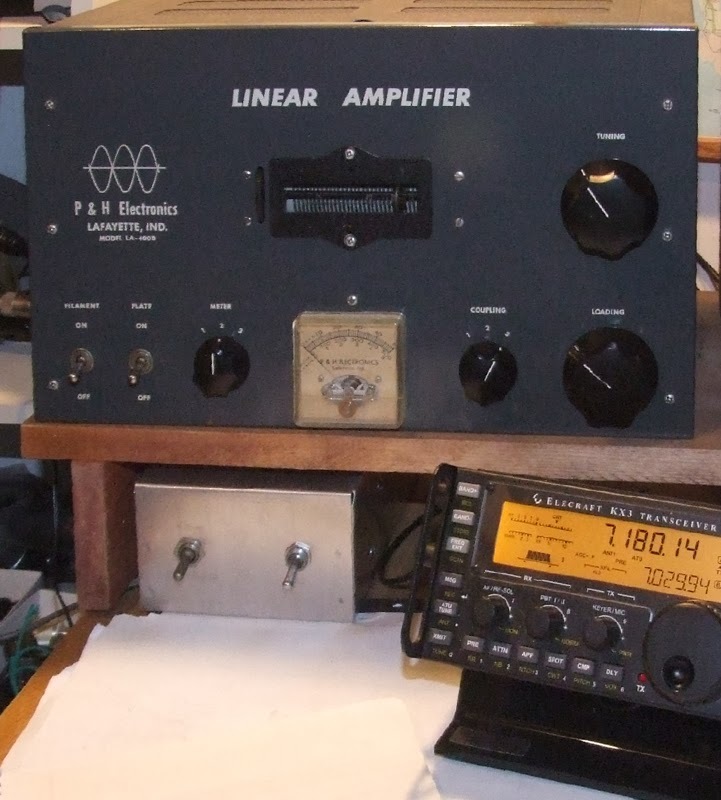 ARRL HF Verticals Links to many QST articles about vertical antennas. Use the sidebar to find articles about other types of antennas. 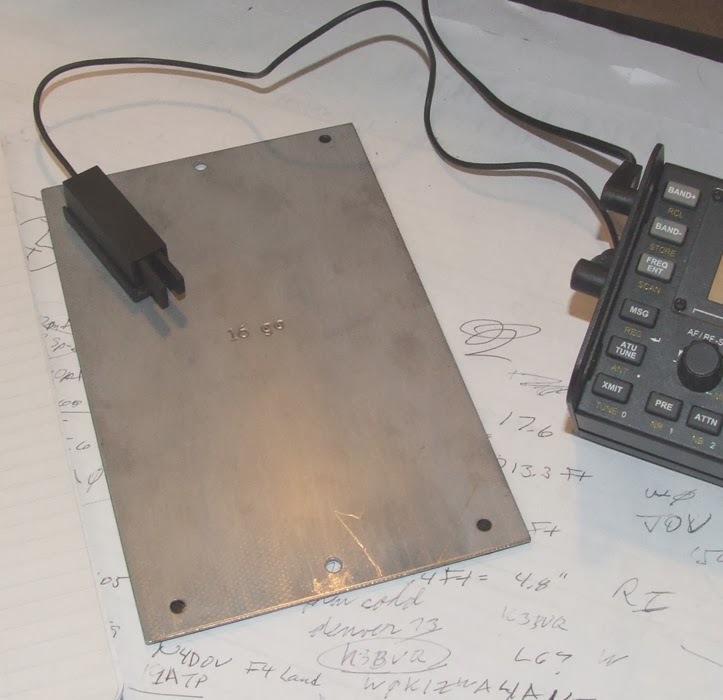 My effort to build a relay box so that I can use my grounded grid 572B amplifier with my KX3 has hit a major bump. A few seconds of transmitting destroys the KX3 power amp / final transistors. Did I say major bump?, obviously this is a killer. My design is straight forward and I use PTT rather than VOX for both CW and SSB so I'm not transmitting when I switch. There doesn't appear to be any shorts between the relay contacts. The problem, I believe, must be the open frame DPDT relay I'm using for bypassing the amplifier. On transmit the amplifier output and the KX3 output are both routed through the relay armature. The two signals are only about an 1" apart for 1.5". I suspect there is a lot of coupling between them. Some of the 90 watts meant for the antenna is feeding back into my KX3. I can imagine this extra power, if it doesn't directly destroy the KX3 finals, could screw up the KX3 final mismatch detection circuitry. I may be running the finals into a load they aren't designed for while the extra RF from the amplifier is causing the mismatch detection circuit to say everything is cool. 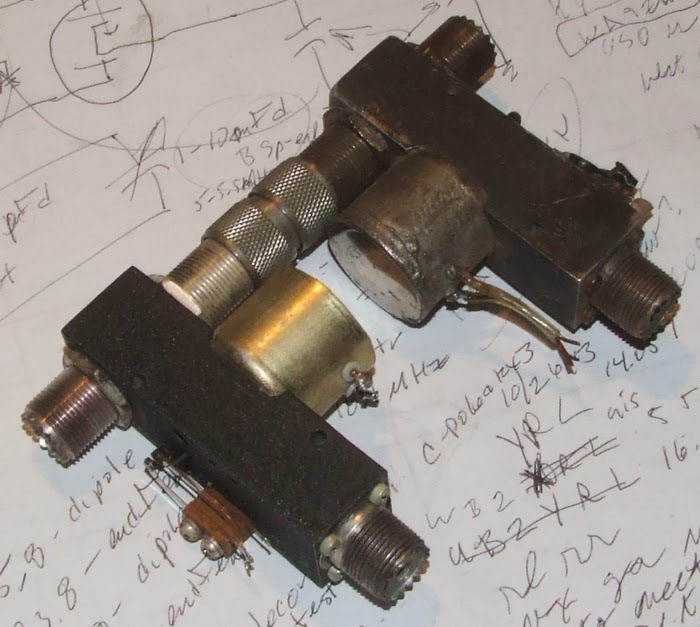 The possible solution: a relay designed for RF switching, namely back-to-back Dow-Key relays. Now if I could just tell if the KX3 finals are being stressed I'd be comfortable. I'd hate to blow another set. I'm afraid this project is going back on the shelf. I'm having plenty of fun with my KX3 barefoot. No need to risk the finals a third time. The homebrew paddle that I pack with my KX3 is durable but weighs in at 2.2 lbs, a heavy weight by any standard. I finally looked around for a lighter weight replacement and found the Palm Pico Paddle. At only 1 oz this one will certainly pack easier. I've now had a few QSOs with it and I couldn't be happier. This one works fine and will pack along on my next hike a lot easier. The Pico Paddle comes with a magnetic base and a cord for connecting to the KX3. The size is perfect for the right hand side on the KX3, fitting just below the right hand endplate mounting screws and above the antenna connectors. 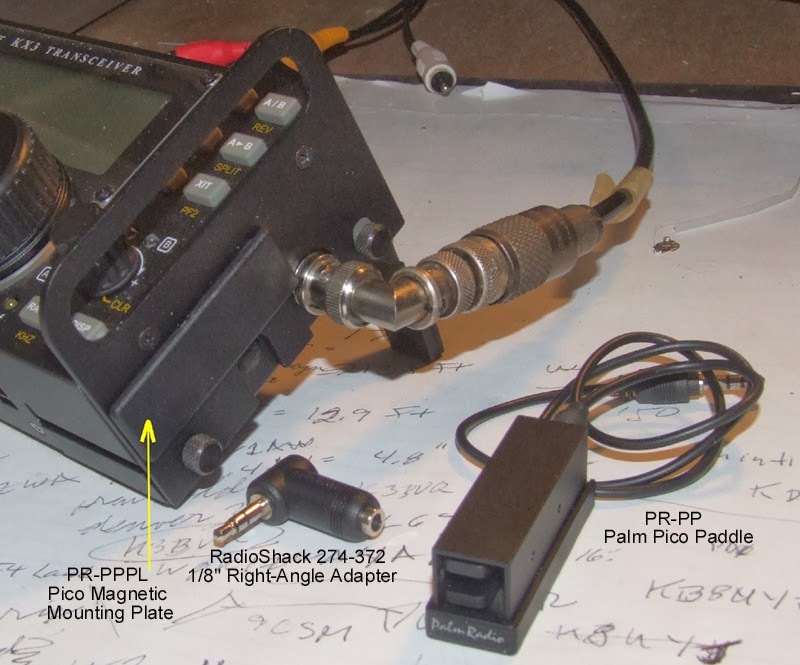 Elecraft does recommend a right angle plug. I found one at Radio Shack. Palm Radio offers a steel KX3 endplate that works with the magnetic mount, but not one with handles. Instead I ordered a piece of steel that sticks on the KX3 endplate to provide something the Pico Paddle magnetic mount will stick to. I wondered about using the Pico Paddle stand alone. It is a little small for sitting by itself on the desk but I found that the magnetic mount works great with a blank steel electrical box cover. You might want to hot glue a piece of metal to a plastic sheet about 5" by 6". You can use the plastic as a clipboard for notes and the weight of your hand secures it when sending. A couple of rubber feet helps prevent sliding on a flat surface. I have been doing this for years. After seeing Phil's suggestion above I was motivated to return to my local big box hardware store in search of a different stand alone base plate. This was to be used only in the shack so weight was not a big issue. What I found in the plumbing department was a 5"x8" 16 gauge "Steel Safety Plate". I then located soft rubber non-skid "Gripper Pads" designed to stick on the bottom of table legs to keep them from moving. I now have a base for my Pico Paddle that works great at the shack operating position. The only problem I have is that I tend to be heavy handed enough that I can loosen the paddle from the KX3 when it is set up with the magnet on the side. For me I'll probably leave the magnet on the bottom and pack along a piece of flat metal (like a 3 1/8" x 7" steel joist tie plate) to use as a base out in the field.